Website editor’s note: The text below comes from a recent email newsletter from The Nicholas Gonzalez Foundation. Dr. Gonzalez’s excellent book Nutrition and the Autonomic Nervous System was reviewed in Issue 26 of The NZ Journal of Natural Medicine. We are thrilled to announce that the nutrition book that is rocking the health world has just won the 2018 Book Excellence Award in the category of Diet and Nutrition. Dr. Nicholas Gonzalez wrote Nutrition and the Autonomic Nervous System prior to his death in July 2015. It was posthumously published in 2017 by New Spring Press. Dr. Gonzalez’s book explains why different people need different types of diets – there is no ONE diet for everyone. 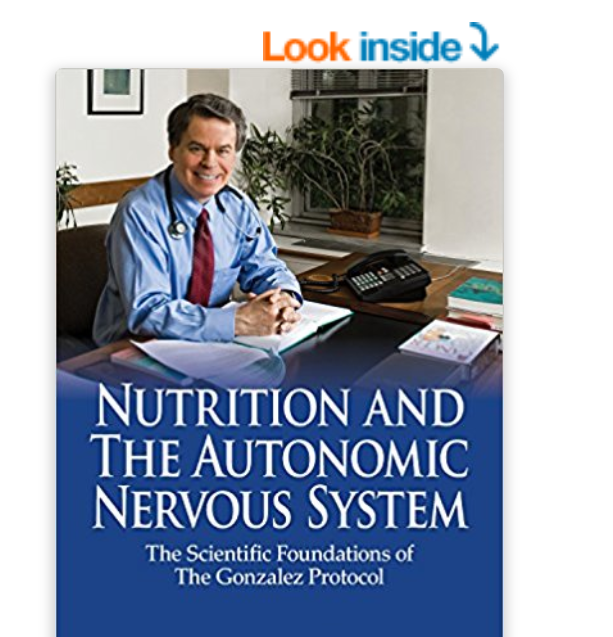 Nutrition and the Autonomic Nervous System: The Scientific Foundations of The Gonzalez Protocol is available on Amazon in paperback and Kindle editions. The Book Excellence Award receives hundreds of entries from around the world and Dr. Gonzalez’s book was selected for its high quality writing, design and market appeal. For additional analysis of the scientific support for the use of different diets, we recommend this DVD by Dr. Gonzalez entitled “Different Diets for Different Types.” Click here for more information. Both his award-winning book and the DVD are available on Amazon. For a complete catalog of Dr. Gonzalez’s books and videos, visit www.newspringpress.com. The website of The NZ Journal of Natural Medicine includes a review of one of Dr. Gonzalez books One Man Alone, which you may read by clicking HERE and a review of one of his DVDs which you may read by clicking HERE. Dr Gonzalez’s award-winning book What Went Wrong which describes how a clinical trial of his nutrition, enzyme and detoxification treatment for cancer was sabotaged, was reviewed in issue 11 The NZ Journal of Natural Medicine. A free sample of articles from this issue may be downloaded via this link: http://www.naturalmedicine.net.nz/product/the-new-zealand-journal-of-natural-medicine-issue-11-ebook-free-sample/ while this issue may be purchased in PDF form from this link or as a printed magazine from this link. Our online shop is HERE.